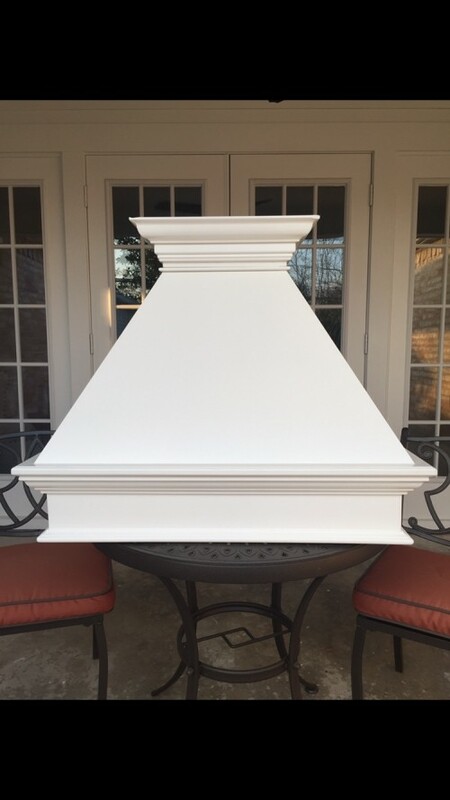 White, 32"W x 28"H x 20.25"D, custom, wooden, Wolf vent hood for sale. Meant to go over 30" cooktop/ range. Insert NOT included. Purchased for $1800, will sell for $900 OBO.